Select from one of our exclusive designs and modify it to suit, or work with our team to design your custom home from scratch. Overseen by our qualified head builder, our experienced team will be there every step of the way to create a home you can be proud of. All of Kitco’s structural materials are manufactured locally and in-house, giving you the assurance of a cost effective, efficient and quality build. 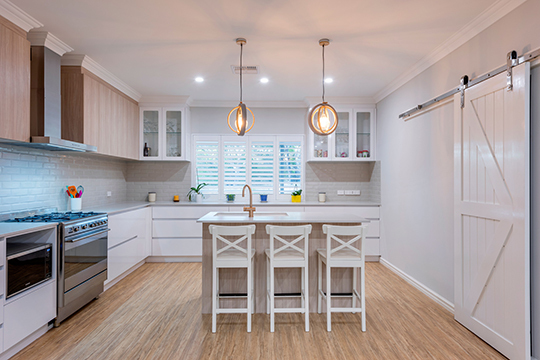 Kitco are experts in building site-built timber and steel framed homes throughout rural and residential WA, and we use that knowledge along with our superior customer service to provide a great experience for our clients. One of the most versatile site-build, framed home builders in the industry, we use both sustainably sourced timber and pre-galvanised steel in our builds. Whatever works best for your design and home, we provide the right materials at the highest standard. For total structural integrity, our wall frames, roof and floor trusses are engineered on a job-by-job basis – ensuring your home is structurally sound to withstand earthquake and cyclonic conditions and meet the relevant Australian building standards. Most importantly we are local and understand the WA environment and the challenges it delivers. With our in-house fabrication, Kitco’s quality control is assured – we guarantee your home will withstand whatever the WA elements can throw at it! Framed homed construction is ideal in situations where the need for earthworks makes construction difficult and costly. With our Kitco builds, there is minimal need for retaining walls, compacted fill or expensive engineering – our elevated floor systems can be built directly on site. Alternatively, we can use concrete slab construction to provide a great foundation for your new home – whichever works best for your block of land. When building in the country, a vast majority of properties have specific needs that a typical residential block wouldn’t. Kitco specialise in areas such as rain water tanks, lengthy power run-ins, bushfire upgrades, sheds and waste water systems to name a few, which are all vital and necessary requirements when building in country areas. Whether treated timber or galvanised steel is your preferred material of choice, Kitco can deliver both. All of our timber is sourced from sustainable Australian plantations. For durability, we use H2 treated Bluepine timber at a minimum and H3 treated timber where elements are more severe, to increase the lifespan of your home. White Ant and European Borer resistant timber is used for all our timber framed homes. Pre-galvanised steel is used for our steel framed homes. All joins are fully welded and treated producing an extremely strong, termite resistant lightweight product. We pre-fabricate specific components of the structure within your new home, including the wall frames, roof and floor trusses, and then deliver to site with all other included items, easy to follow shop drawings and readily available advice. Alternatively, we can completely site-build your dream framed home for you. Fabricating specific components of the structure ensures a quicker turnaround and speedy completion so you can get on with enjoying your new home. If your property is located in a bush fire prone area, Kitco have the experience and local knowledge to construct your home to meet the latest Bushfire Attack Level (BAL) ratings. When building in the country and rural areas, and even local built up areas in some cases, Kitco have the ability to modify our designs along with custom designs to meet the adequate construction requirements from AS 3959-2009. The Bushfire Attack Level is determined by a licenced assessor who will complete a BAL assessment of your property. Furthermore, a BAL Zone is given to the property, and Kitco apply the relevant construction requirements to meet the current Australian Standards. All our designs comply with government regulations regarding thermal assessments. Energy efficiency is always at the forefront of our approach to materials and design. Whether you’re hands on or just waiting to move in, we’re able to structure our service to meet the needs of owner builders or for those simply wanting to move in and start living. You decide your involvement. We use standard specifications for each stage of our builds, however we can also offer a range of alternative materials or products to tailor design to your tastes and needs. Given our experience, local knowledge and our ability to use pre-fabricated components of the structure within your new home, you won’t be waiting year-in-year-out for the completion of your new home. Two months is all it takes to site-build our homes to lock-up while a complete full build of our homes to our specifications will take up to six months. Custom home time frames are varied, and depend on the size and complexity of the design.